You may have noticed stains or damage on your brickwork and wondered “what are they” and “What causes that”? 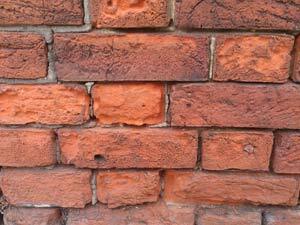 We are going to look a little further into the most common cases of damage to brickwork. If they are white deposits like in the picture above, then they could be caused by efflorescence. Efflorescence is formed when water reacts with the salts that are already present in construction materials. The water dissolves these salts and they are then carried out and deposited onto the surface when the water evaporates. A definition of Efflorescence is a staining of brickwork, masonry and concrete, caused by salts being washed out of construction materials, and being deposited on the surface of building materials by the evaporation process of water. It may not be possible to prevent efflorescence. If it is caused by materials getting soaked in the building process the only answer may be to let the wall fully dry out before treating the surface with a salt neutraliser to stop the salts leaching out further. The natural weathering of the wall removes the staining over time. However if you have a serious build-up of deposits on a wall, give it a scrub with a stiff, dry brush, and then with a soft dry brush to ensure you have completely dusted off all the salts. If you don’t remove all the salts from the surface of the wall, they can stay in the pores of the brickwork and dissolve and reform again when it rains. This will form further staining. There are acid brick stain treatments but getting the wall wet simply dissolves the salts and carries them into the wall not out of it. Efflorescence on plaster causes white, fluffy salts that lift and blister wallpaper and paint. We say that the crystals cause the plaster to ‘blow’. This sulphate crystal build-up can occur in a building of any age, if water is passing into the structure. Water will find its way out of the wall leaving the salts behind. The salts can be brushed off, but they frequently reoccur and damage the décor again unless you remove them and then treat the area with salt neutraliser. 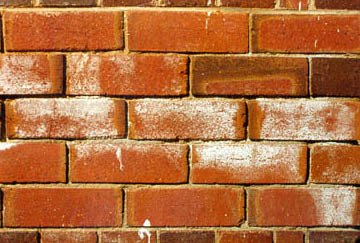 Mortar stains on brickwork are often left behind by builders leaving residual sand and cement on the wall during the construction process. Use a brick cleaning acid, available from most DIY stores and all Builders’ Merchants. You can apply the acid either diluted or undiluted depending on how bad the staining is. Follow the manufacturer’s instructions for use. Make sure you wash it off thoroughly at the end. Protect yourself from the acid and wear rubber gloves and a mask; acid is dangerous and should be used with care. 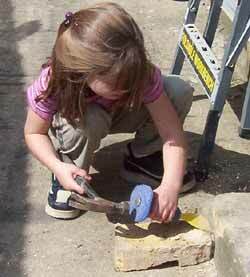 For large lumps of mortar, you may need to use a little gentle persuasion with a hammer and chisel. Then scrub it with a wire brush until you left with just the stain. The brick cleaning acid should remove the stain easily providing you do not try to “attack” large lumps of mortar with acid. Find out more about Efflorescence and treating stains and salts on plasterboard and brickwork in DIY Doctor’s Projects Section.